This entry was posted on May 4, 2013 by admin. Aerospace engineer Jim Humble's third career started accidentally while on a gold prospecting trip in the jungle of Venezuela. There, using stabilized oxygen, he improvised an effective remedy for his colleagues who were stricken with malaria. As curious as he had always been in his life, he returned to his native US and wondered why the cure had worked so well. The answers to his own questions led him to the development of a more powerful form of oxygen therapy, chlorine dioxide, which he called Miracle Mineral Supplement. With a mission to help the human race whatever he did, Jim made it widely available in the form of sodium chlorite which the user 'activated' by adding lemon juice or vinegar - and medical teams conducted 100,000 research trials in Africa where it was found that MMS would frequently relieve the symptoms of malaria in as little as four hours. 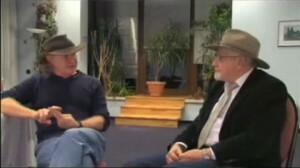 In this 75 minute interview, Jim talks with Project Camelot's Bill Ryan about his life and work. Charming, engaging and passionate, Jim reveals his most interesting background in aerospace and mining engineering - careers few users of MMS will be aware of - and then goes into detail about how MMS works, his experience successfully treating not only malaria but hepatitis, cancer and AIDS, and his personal spiritual and philosophical perspective on everything he does.